This Kawasaki KZ1000p Bobber is my current project. 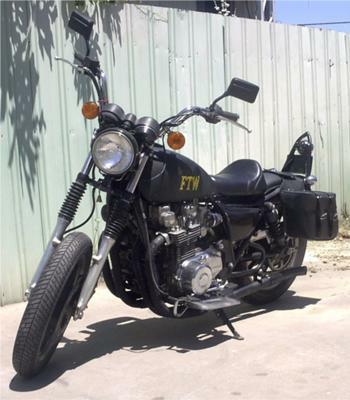 I am looking for a Kawasaki kz1100 with fuel injection. I want to put a soft tail frame on it and was wondering if anyone has any insight on this subject. Jim, I saw your postingon this web site I too are wondering if can be done. Because I have a KZ1000p 1978 and I have a soft tail frame I have been working on and I haven't had the time to measure it yet. But I will very soon in order to see if it works. It will be tight I may have to stretch it. In order to fit.